Coal seam gas has become one of the most divisive environmental issues of recent years. 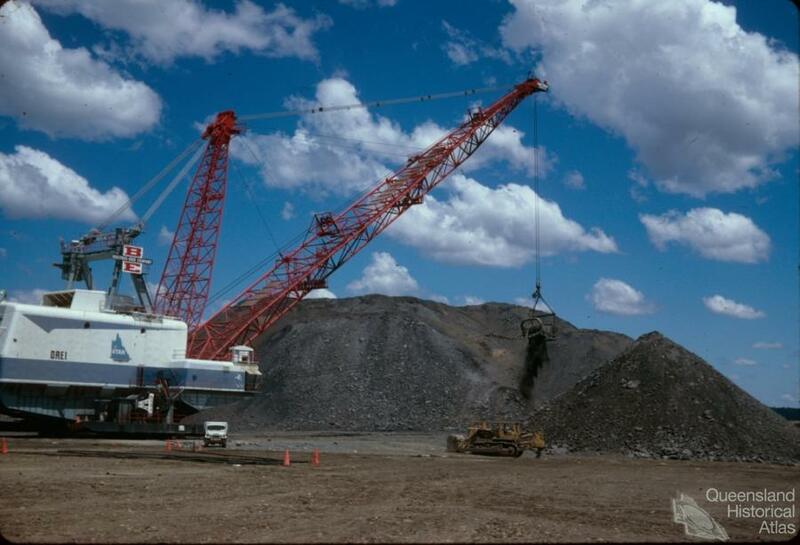 At Moura in the late 1970s, Australia had one of the first hydraulically fractured coal seams in the world, which was drilled only a few miles from Australia’s first modern open-cut coal mine. 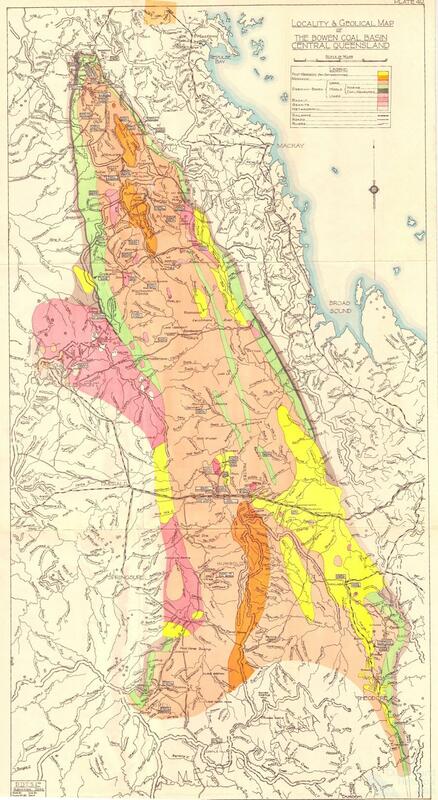 Many of the problems from the current mining rush are primarily manifested as political issues, but the exploitation of the Queensland landscape certainly has a history ― some of this can be seen in a map. Australia is underlain by sedimentary basins. The major basins where coal seam gas will be produced in Australia are the Bowen, Galilee and Surat Basins in Queensland, and the Sydney and Gunnedah Basins in New South Wales. Most of the gas will come from Queensland and be exported out of the Gladstone liquid natural gas hub. The gas is not held in geological traps or the spaces between sand grains, it is in the cleats of a coal seam. Cleats are miniature structures held within the coal rock. In the 1980s, US geologists found that one pound of coal unravelled had the surface area of a football field. Harness all the gas clinging to that surface and you have harnessed the world’s next major fossil fuel. Gas cannot be produced until the balance in the coal structure is altered. This is where dewatering and hydraulic fracture come in. The hole must be drilled, the coal seam de-watered (sometimes at a rate of 400,000 litres of water per day as happened with one of the first wells in the Surat Basin), primed with potassium chloride and then hydraulically fractured with water and sand and sometimes a range of harsh chemicals, like hydrochloric acid, that are pumped into the seam at high pressure. Once the process is complete theoretically all the surface area of the coal is propped open and gas flows. 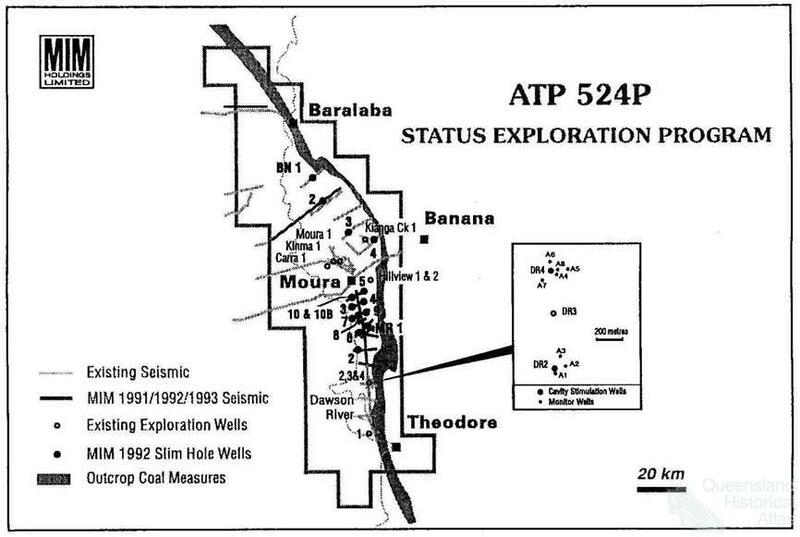 Coal seam gas arrived in Australia at Moura in 1976. Houston Oil and Minerals, who drilled the first well, were known as wildcatting legends in the US oil and gas industry. Prior to drilling, they spent months in the US doing research and came to Australia with ‘a novel exploitation concept’. In their laboratories they literally created a model sized example of the German Creek coal measures to test the fracture possibilities. Between September and December they re-completed two old wells and drilled two more holes: Shotover, Moura, Kinma and Carra. Moura # 1 appeared the most promising. 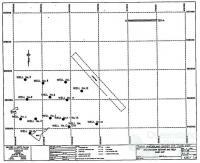 Between 13-15 July 1977 it became the first coal seam gas well hydraulically fractured in Australia. Although the process increased the gas flow it still remained uneconomic. The project was abandoned. 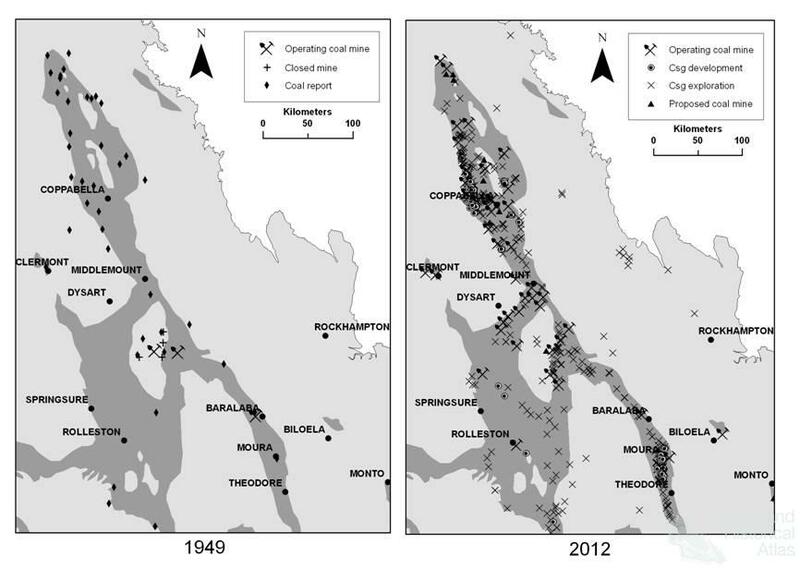 Reading the exploration reports held by the Queensland Department of Mines and Resources, some critical environmental issues can be identified. A large amount of water was extracted from the aquifer and this water was high in salt and dissolved solids. Water for the hydraulic fracture was trucked in from Kianga Creek and no discharge location was recorded for any of the waste water. The science behind hydraulic fracture process, not to mention knowledge of geology in the area, was a guessing game at best. Neither the industry nor government regulators took much interest in these environmental issues for the next 25 years. Production of coal seam gas in Australia commenced on 2 February 1996 when gas from Moura’s open-cut coal mine was supplied to the Queensland gas pipeline heading to Gladstone. The first production from a vertical well would start later in the year a little further away at sites on the Dawson River. The first two decades of coal seam gas were characterised by an intimate relationship with the coal industry. Moura was the site of Australia’s first modern open-cut coal mine with a huge dragline in operation and an export contract to Japan. 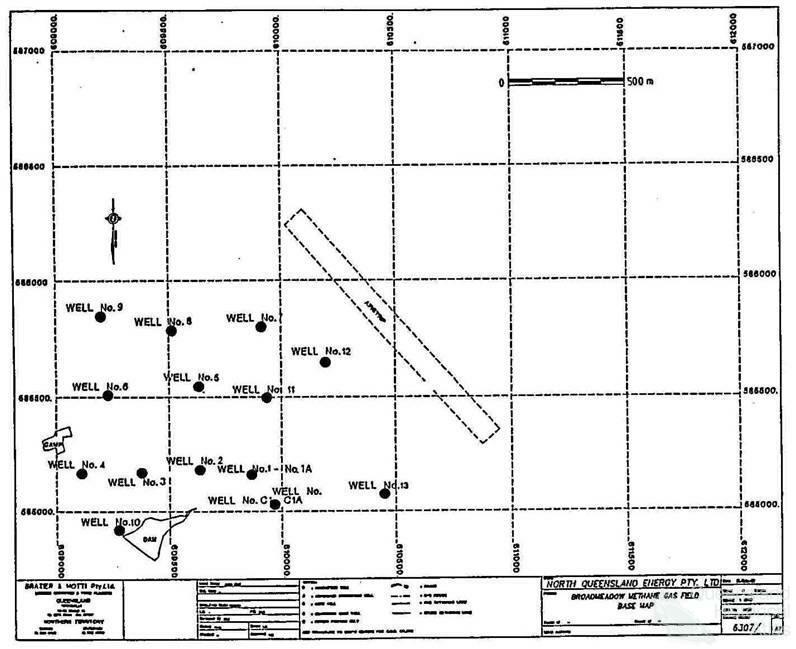 Most of the coal seam gas exploration sites in far North Queensland were abutting open-cut mines established by Utah. Mine safety was also a significant issue, in the Moura region alone there were fatal mining disasters in 1974, 1986 and 1994. Research and development in the Australian industry was driven by making mines safer, removing explosive gas and using the methane ― much more potent than carbon dioxide as greenhouse gas – vented to the atmosphere. Although the mining and gas industry appear at odds today, historically in Australia the coal, gas and coal seam gas industry were profoundly interconnected in one exploitive fossil fuel family. Coal seam gas was only a twinkle in the resources sector eye at that stage … So it didn’t really occupy much of our time because it wasn’t a big issue, other than, we’ve got this and we know we’re going to do something with it one day when the technology is there. In the late 1990s much of that technological development had occurred and the industry was taking off. By this time another factor gave coal seam gas a public face-lift. The Commonwealth is doing very little about greenhouse gas emissions, so the states have to act to fill that Federal policy vacuum … Any sensible energy strategy must develop a substantial role for gas into the future. And so Beattie promoted gas as a ‘smart’ strategy. Even 10 years ago we could not have predicted the importance of coal seam gas to Queensland … When the Petroleum Act was passed in 1923, even Nostradamus would not have picked it. If one is trying to predict what the future is in 40 years time – and this shows the importance of this act – we might not mine coal. Coal seam gas received almost bipartisan support from Queensland politicians. Before Beattie, Rob Borbidge had promoted gas for Townsville heavy industry and when the gas act passed it was supported by many in the National Party. Politicians from all persuasions only looked toward the future – coal seam gas offered the allure of a cleaner burning fuel while still being able to exploit Queensland resources for economic prosperity, at least for some. Instead of looking to the next forty years maybe looking back points to the competing uses of the landscape. As exploration occurs knowledge accumulates allowing waves of exploitation to build-up. Knowing a landscape helps developers exploit it. 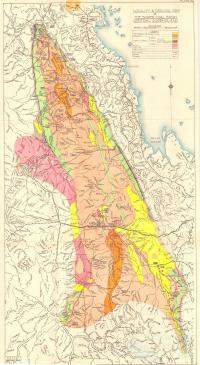 Step back and observe this map of the Bowen Basin from 1949. Many people have not seen it. It appeared in the First Report on the Coal Industry of Queensland (1949) a report by the company Powell Duffryn Technical Services. What is striking is the assessment of coal resources by discoveries of coal found in water bores. There is water in coal, a lot of it, and there is gas too. Gas and coal explorers might laugh in irony at the marks on this map showing coal and water bores. If they were a little curious they would soon see that these marks now have large-scale open-cut coal mines or coal seam gas developments over them. People might wonder, pastoralists and farmers included, what it means to see these resources together, so long ago, in 1949, before the shift to modern open-cut coal mining, before coal seam gas development. But it is there to see that ultimately water resources and pastoral ownership would be drawn together with coal and gas resources on the Queensland landscape. If the full plans are achieved in the next twenty years, coal seam gas will be the greatest industrial change to the eastern Australian landscape since the introduction of large-scale open-cut coal mining in the 1950s. Looking at the exploration and early development of the coal seam gas industry reveals the roots of the current debate. In the three decades of exploration and development rarely were the words, ‘landholder’ and ‘environmental impact’ uttered by the industry or state government. And the new found enthusiasm of the New South Wales government for coal seam gas is partly a product of the interstate rivalry with Queensland, which has long dominated open cut mining. New South Wales, with its huge coal seam, wants to get some of the action too.